Transform your landscape from a potential source of runoff pollution to a buffer against it. 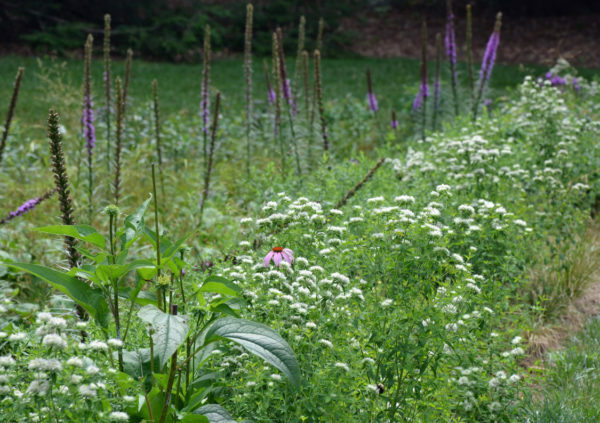 Eileen Boyle, our Conservation and Research Director, presents the basic elements of rain garden installation and maintenance, a list of native perennials for wet and dry conditions, and designs that are aesthetically pleasing and highly functional. Take home 5 hardy, resilient Mt. Cuba Center plants to start your own rain garden. Class size is limited. Plants are included in the fee.